Like photographic cameras, infrared cameras and thermal cameras (collectively called thermal imagers) require good focus for the best output. This output directly affects your analysis and decision making. It's not just aesthetics at stake here. 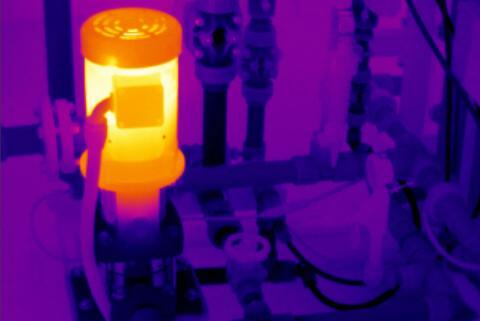 An infrared image that is out of focus is likely to display bad temperature calculation data as well. 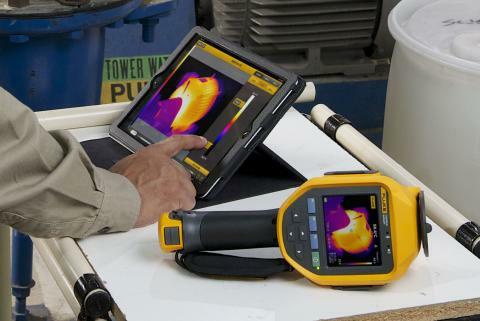 Thermal imagers calculate temperature; they don't "measure" it. 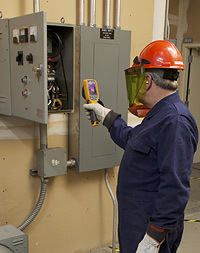 Focusing on a scene or object using a thermal imager is often more problematic than using a photographic camera. Our eyes see visible light, and this is what our brains are pre-wired to interpret. In thermography, how the energy is being conveyed (conduction, convection, or radiation) has an impact on what an imager sees. Distinct lines between objects often can disappear, making focusing a challenge. With a manual focus system, you should be patient and focus on an area with sharp thermal contrast, if possible. Using a manual focus system can often be intimidating for the new user, but once you get the hang of it, manual focus provides you with great results. Start with a subject in a monochromatic color palette. The human eye most often can focus in black and white (gray scale) or black and yellow (amber) more easily than in full-color scales. Look for a sharp edge that you can see in the field of view. When faced with a subject where there is no sharp edge, try putting a sharp object like a pen, pencil, or a wooden pointer in the field of view and focus on that first. Automatically focusing in the infrared spectrum is often very different from autofocus in the world of visual light and photographic cameras. Inconsistent operation and focusing results. Focus is not repeatable from button-press to button-press (even on the same object at the same distance). Autofocus motors typically eat up battery power. Some systems are overly susceptible to mechanical damage. Images are not always in sharp focus with autofocus alone; you still need to manually fine-tune. Fluke understands the apprehension that some users have about using manual focus, and also understands the limitations of existing autofocus systems. In an effort to solve the concerns on both sides, we have designed a completely new option for thermal imager users...the IR-OptiFlex™ focus system. This system offers peace of mind that you are getting good focus, without the concern of "am I doing it right?" and without the drawbacks associated with many more-expensive and less-reliable autofocus systems. When you use the Fluke IR-Optiflex™ focus system at distances of 4 feet (1.2 meters) and beyond, you have the flexibility to perform scan significantly faster than you could with manual focus alone, with true point-and-shoot ease of use. At this distance you can achieve optimum image clarity and scanning convenience. For shorter distances you can adjust the focus with the touch of a finger on the focus control. With IR-OptiFlex™ focus system you really have the best of both worlds. Easy to use. Easy to understand. No more frustration. No more hassle.